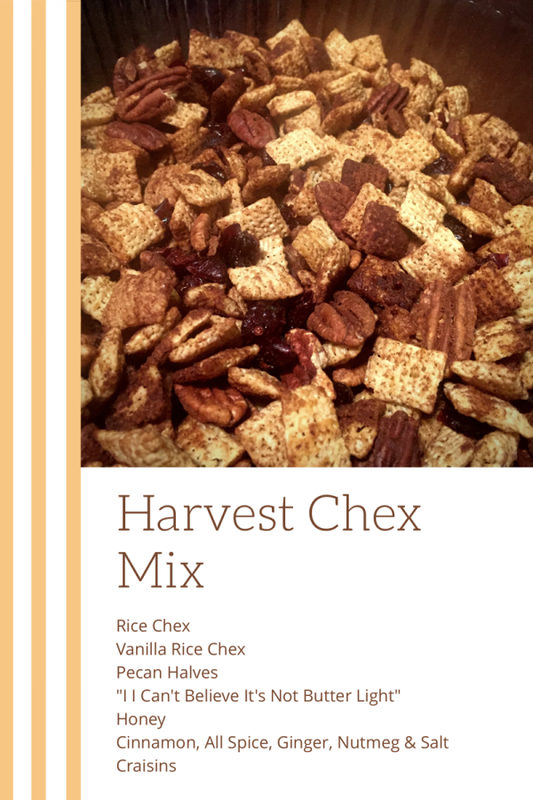 Chex uses whole grains and simple ingredients so it is easy to turn your breakfast cereal into a healthy snack, as long as you make sure the rest of your ingredients are also good for you, or at least in moderation. Nuts, seeds, whole grains and dried fruit are all good choices for a healthy homemade chex mix, and the possibilities are endless! Just make sure you don’t add too much sugar and/or butter which could catapult your healthy intentions into a problem for your waistline. 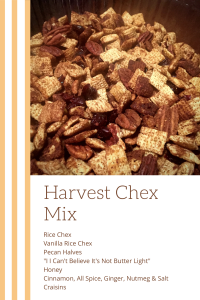 Last weekend I was in the autumn spirit and wanted to make a chex mix that highlights fall flavors so I thought I would share my recipe. 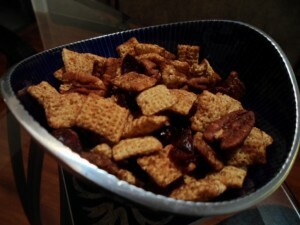 I used lots of cinnamon, allspice, ginger and nutmeg along with chex cereal, pecans and craisins to make my perfect seasonally appropriate chex mix. Preheat oven to 300 degrees Fahrenheit. Mix together cinnamon, ginger, allspice, nutmeg and salt in a small bowl. Set aside. 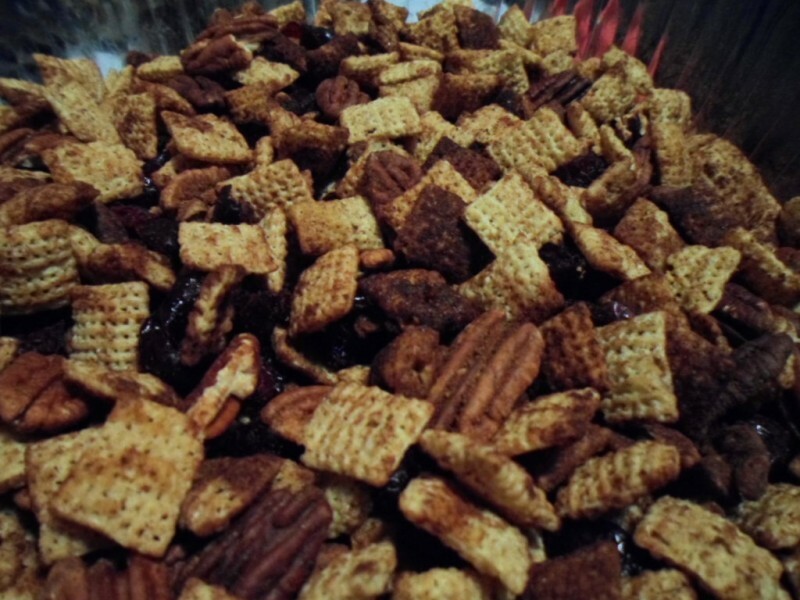 Add Chex and pecans to a large mixing bowl. Melt butter substitute in a small microwavable bowl or mug (put in microwave on 30 second intervals until melted) and mix in honey until dissolved. Pour mixture over Chex and pecans and mix until evenly coated. Add the spice mixture that was set aside earlier and continue mixing until evenly coated. Spread out on parchment paper lined baking sheets and bake in oven for twenty minutes. Remove from oven, toss mixture and then bake for another 15 minutes. Remove from oven and allow to cool. Add to large serving bowl, mix in craisins and serve. I will have to try this! New twist on Chex mix with the spices. So used to Worcester sauce. Your father will love these!